Food is the basic unit of life. This case is applicable with every living being. Fruits and vegetables holds the major part of human being diet. These food stuffs are rich in vitamins, minerals, trace metals and all other nutrients. Bitter gourd or Bitter melon is a tropical and subtropical vine. Bitter gourd was originated in Indian continent and was introduced into China during 14th century. It is a herbaceous plant which is grown all over India. The plant is the creeper which bears yellow coloured flowers which lately gets developed into fruits. Fruits are 1-4 inch long and thick from middle containing whitish dry pulp inside. It is pointed towards both the ends. Fruits have triangular eruptions which give them a rough surface. When ripe they turns yellow from outside and the inner pulp and seeds gets reddish. They are used to propagate new plants. It bears leaves which are 1-5 inch broad and divided into 5-7 sections. Bitter gourd belongs to kingdom Plantae and Cucurbitaceae family. 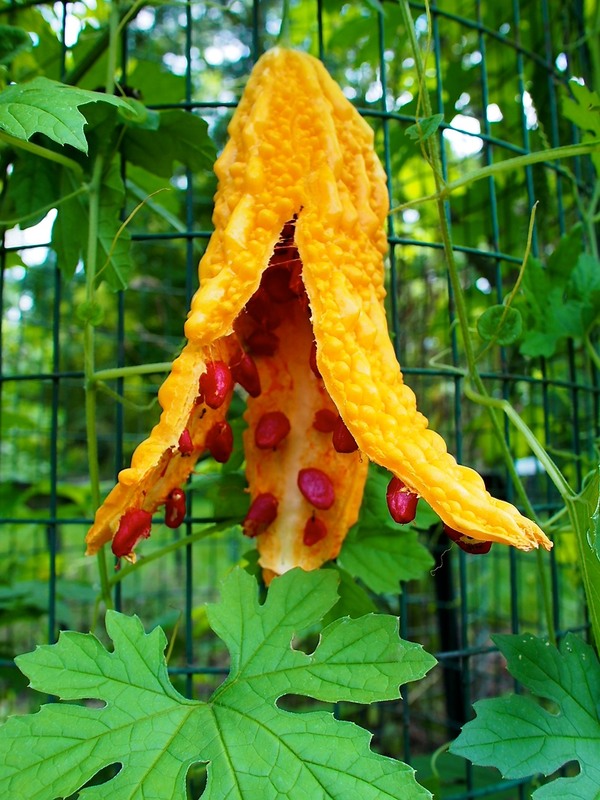 Its binomial name is “Momordica charantia”. 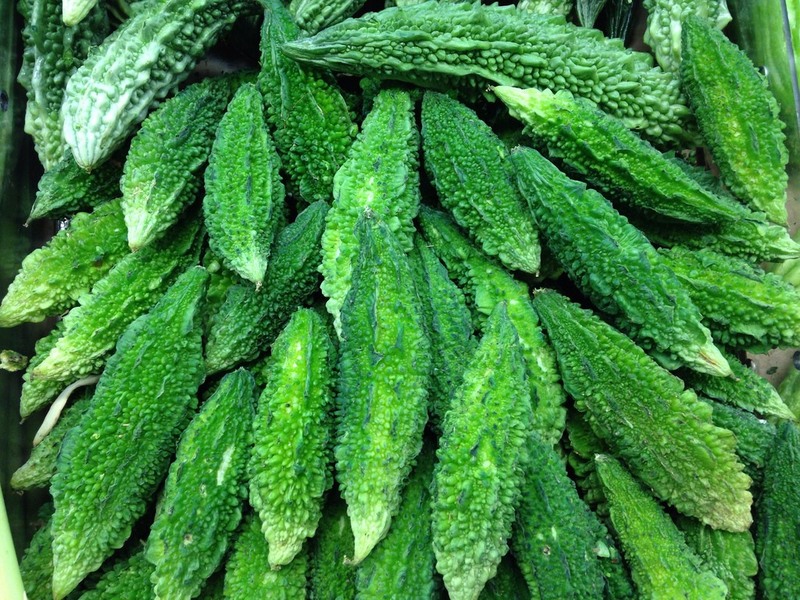 In Hindi it is called Karela whereas in Sanskrit it is called Katphala, Karvellak etc. 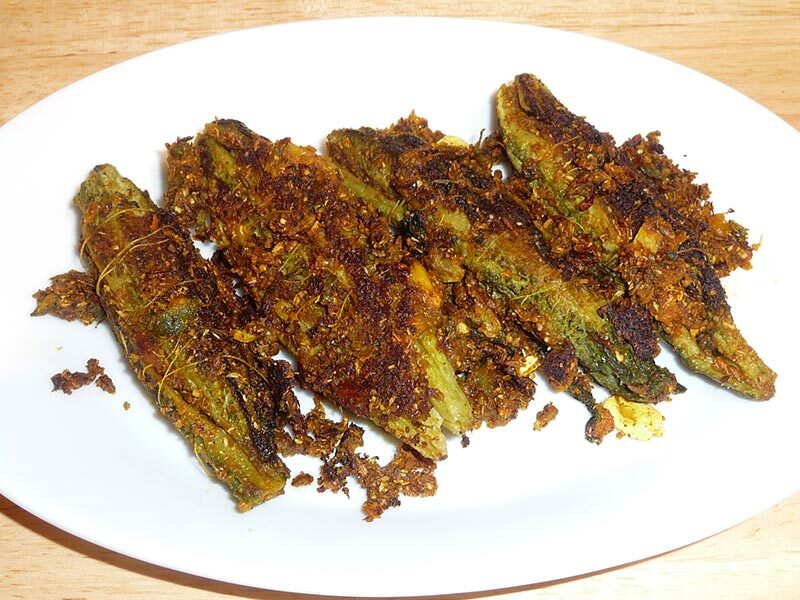 As a vegetable, bitter gourd is widely used in the form of fried slices, curry, stuffed form etc. Apart from this, Bitter gourd juice is highly recommended one. Soft drinks, flakes, pickles etc are also prepared using bitter gourd. 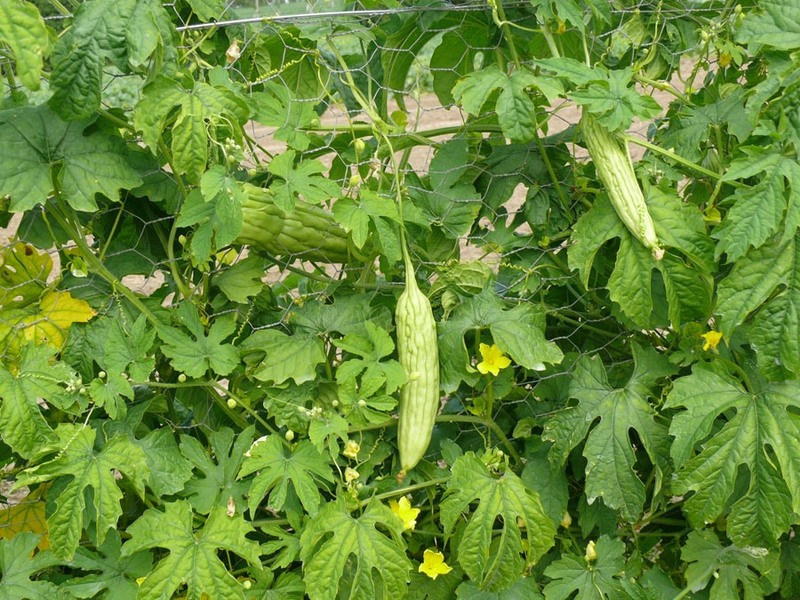 Give 10-12 gm of bitter gourd juice with its leaves. Also add little amount of vinegar or rock salt to it. It cures vomiting and purgation. Shade-dry the fruits and prepare its fine powder. Give 3-6 gm of this powder with water or honey. Give 10-12 gm juice of its fresh fruits regularly. You can also give cooked fruit to the patient. Mix 30 gm juice of its green leaves with 15 gm curd. Give this to the patient with 50 gm of buttermilk. Continue this process for 3 days and then stop for next 3 days. Again continue this for 4 days and the stop for 4 days. Similarly, continue the process for 5 days. Mix its whole plant, cinnamon, black pepper and rice in oil of wild almonds and apply this oil on affected area. It cures itching and similar problems like that. Apply the juice of leaves on boils; it gives immediate relief. Paste of its roots is beneficial in curing small boils, acne and eruption. You can also the juice of its leaves on eczema. Take 10-15 ml of leaves juice and mix powder of ginger root, black pepper and pepal in it. It purifies blood and aids in menstrual cycle. Give 10-15 ml juice of its leaves with black myrobalan grinded in it. It is beneficial in curing jaundice. Give 10-15 ml fresh juice of its leaves with a little amount of turmeric mixed in it. Give this juice thrice a day. It cures chicken pox, small pox and other such communicable diseases. Give 10-12 ml of its juice with a little amount of pure saffron in it. Give this liquid thrice a day. Its cures the congested cough and cure the pneumonia in children. Peel off the fruits and then roast the remaining fruit on fire for 10 minutes. Add little amount of sugar to it and give this to the patient to eat. Give this every morning and evening. Heat the juice of unripe green fruits and apply on the painful area. Give pulp of the thick upper part of its roots with the medicated ghee prepared from the decoction of its roots. It is beneficial in curing gout disorders. Take a rusting Iron vessel and rub the juice of its leaves and a black pepper in it. Apply it as an eye liner in the eyes and also apply around the eyes. It cures haziness in eyes and night blindness too. Grind dried fruits in vinegar and for a warm paste. Apply this paste on throat. It cures the swelling of throat. Give 10-15 ml juice of its leaves or fruit with mustard seeds and salt mixed to it. It is beneficial in curing Arthritis. Give 50-100 ml decoction of the upper thick part of its roots with sugar mixed to it. Grind its roots and apply the paste on the boils of piles. In this way, we saw numerous benefits of Bitter gourd. This vegetable is highly beneficial in many other ailments too. Like those suffering from renal problems should include in diet; it activates the nephrons thus making your system fine again. So, take care and live well!